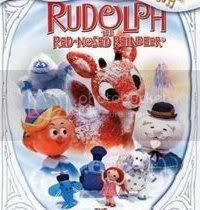 Without giving away our age heehee, Bearman and I are excited to see Rudolf on your page and miss what Christmas television in Australia used to be! Merry Christmas to thee and yours Ian T.!!! Merry Christmas to you and your loveones Ian! Raymond Briggs' The Snowman was really popular here in the 90's, I think it was. 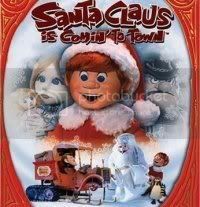 I also love 'Twas The Night Before Christmas, another animated cartoon, again done by Rankin/Bass I believe, involving the clockmakers, both human and their mouse counter-parts. Rudolph and Frosty have been staples here this time every year. But to find The Little Drummer Boy, or Nestor the Christmas Donkey, or the others, one must look hard on special cable channels. Anonymous, yep, it's a bit of an age giveaway. Aravis, I'm sorry I didn't make it clearer that I was talking about Santa Claus is Coming to Town in the text. I haven't seen 'Twas the Night Before Christmas, and it's not in this series of releases. 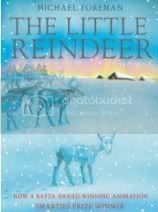 Another film I should recommend - an original vision in both concept and animation - is Olive the Other Reindeer, from a few years ago - excellent!